Late nights, flickering neon, blue smoke and beer fuelled dance freak-outs over a gravely wailing saxophone – think New Orleans processionals meets Twin Peaks. This is Jazz Party. Melbourne’s Monday night secret society led by former saxophonist and songwriter of Clairy Browne & The Bangin Rackettes Darcy McNulty and supreme diva and ex-Rackette Loretta Miller. “Essentially we are a dirty beatnik rock n’roll band who play jazz and soul music” – Darcy McNulty. After moving to Melbourne himself, Darcy McNulty effortlessly integrated into the world of Melbourne’s live Jazz. Yet, despite being filled with incredible musicians, McNulty identified a strange uniformity within the jazz scene. He saw the need for a spontaneity and recklessness in music, the likes of which had never been explored. With the help from Wondercore Island’s Si Gould (Hiatus Kaiyote) Jazz Party was born! Growing wildly from the lounge rooms of late night house parties to month long Monday night residencies throughout the city. Over the past four years Jazz Party has held court at many of the most electrifying venues in Melbourne. 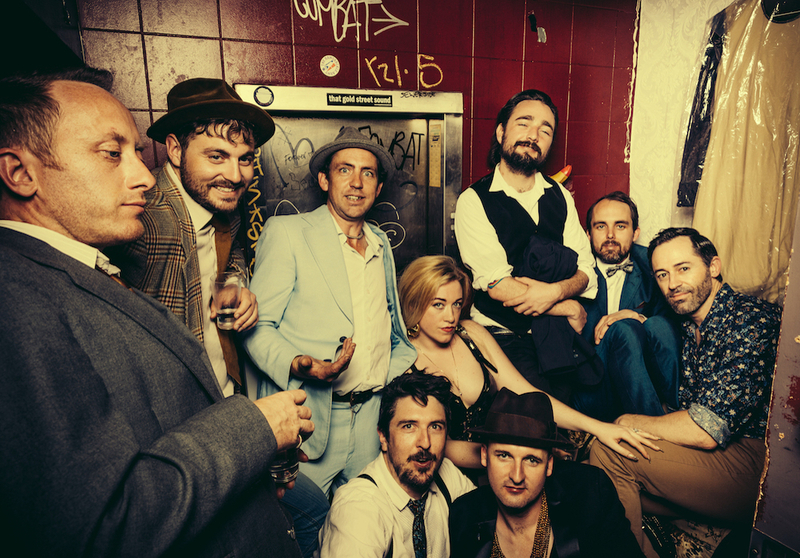 From Captains of Industry to The Memo Music Hall all the way to the mysterious Kelvin Club or local darling The Gasometer Hotel – Jazz Party Monday Nights has brought its feverish ceremonial and hysterical performances week after week. As well as tearing up local and national Music and Arts Festivals; from The Cave – Melbourne International Jazz Festival, Mornington Jazz Festival, Stonnington Jazz Festival and Dark Mofo. Jazz Party perform Darcy Mcnulty’s original material as well as some classic jazz and everything else in between. Tom Waits ballads, Calypso slow jams or Prince bangers Jazz Party pride themselves on their extemporaneity and true originality. Joining Darcy McNulty is vocalist, pianist and heartbreaker Hue Blanes, Double Bassist and cult dance hero Jules Pascoe and heart, soul and voice of Jazz Party the inimitable Loretta Miller. Featuring a rotating cast plus regular features from members of bands such as Daniel Merriweather, The Cat Empire, Clairy Brown & The Bangin’ Rackettes, Husky, Mojo Juju, and Martin Martini – The spirit of Jazz Party is surprise and spontaneity and you just never know who will show up to play a Jazz Party gig. 2016 was a busy year as Jazz Party took to the recording studio for the first time working with reknowned producer Steven Schram who McNulty, Miller and Pascoe had previously worked with on Clairy Browne & the Bangin Rackettes’ recordings. 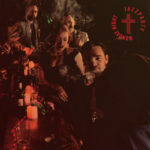 Their debut single, ‘Rock n’ Roll Graveyard’ was coined the “rock n’roll version of Thriller”, and hailed by Indie Shuffle as having an “old school great energy”, placing it alongside Devendra Banhart, Edward Sharpe and Dead Man’s Bones. Since then, performance highlights have included headlining New Years Evie and supporting Lake Street Dive. Melbourne’s cult band of Jazz punks, connoisseurs of classic and neo soul, RnB and contemporary vibes Jazz Party have today released their debut album Monday Night. Already released singles ‘Rock n Roll Graveyard’ and ‘Talking In Your Sleep’, ‘Drowning’ was recorded live by album producer Steven Schram and showcases the staggering finesse of band leader and songwriter Darcy McNulty in an impeccable taste of what’s to come on Jazz Party’s debut album Monday Night. Melbourne’ self-proclaimed Monday night secret society is now anything but a secret.